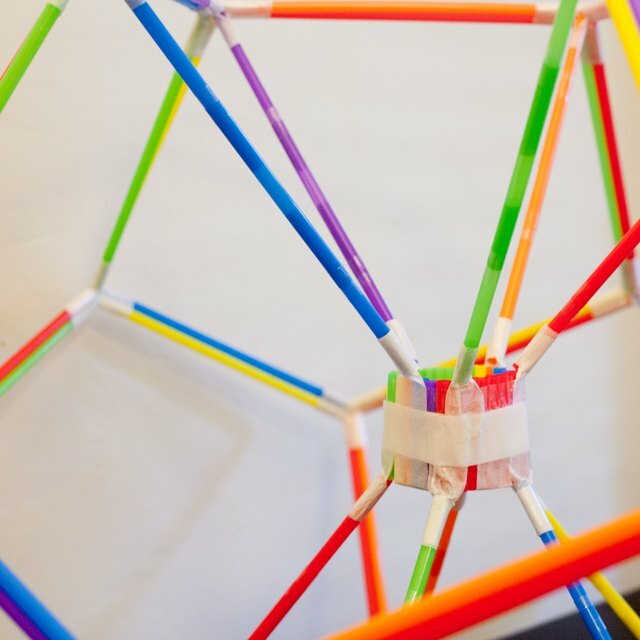 Spaghetti and marshmallow towers can be effective team-building activities, math or science projects or simply a pastime to keep kids busy on a rainy afternoon. In order to build one successfully, you need to know the basics of putting these two items together and the secret to building a tall tower that won't topple over. Make your project even more interesting by setting a timer and challenging your kids to make the tallest tower. Use four marshmallows and eight strands of spaghetti to form a square. Put two noodles together and push them into the rounded side of one of the marshmallows. Push two more noodles placed together into another side of the same marshmallow to create a right angle. Slide another marshmallow onto the other end of the noodles and add two more strands of spaghetti at a right angle to make a "U" shape. Add two more pieces of pasta and connect the square with a final marshmallow. Doubling the spaghetti strands makes the base stronger and more stable. Create a pyramid from the square. Insert a piece of spaghetti into the top of each of the four marshmallows. Gather the four strands of spaghetti at the top and push a marshmallow onto them. Make several more pyramids in the same fashion and place them together side by side to create a base for the tower. Connect the marshmallows at the top of the base. Insert spaghetti noodles horizontally into the sides of the marshmallows to make a grid. Insert more noodles into the tops of the marshmallows at the top of the base. Continue adding marshmallows and noodles vertically and horizontally to create the tallest, strongest tower possible. Goss, Tricia. "How to Build a Spaghetti & Marshmallow Tower." Sciencing, https://sciencing.com/build-spaghetti-marshmallow-tower-4560473.html. 13 March 2018.